Claremont Fitters – "From quoting to the finished job, the service was superb, high level of workmanship, clean and tidy, polite and punctual. I'd recommend them highly". "From quoting to the finished job, the service was superb, high level of workmanship, clean and tidy, polite and punctual. I'd recommend them highly". When it comes to installations, every Claremont Fitters conservatory, orangery and composite door installation is specifically designed to suit your requirements. 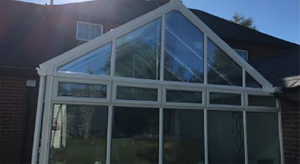 We are a team of fitters and conservatory specialists based in Bournemouth, offering outstanding services across the south. With a solid background in home improvements and construction, our team offer an exceptional service. Our conservatory design and installation team are specialists in a range of styles. Contact us to discuss your project with our fitting and design experts. Incorporates elegant design features characteristic of the Edwardian era, with a large square or rectangular room to maximise floor space. A popular choice with customers seeking a traditional conservatory, the style of which will enhance and compliment properties of all periods. Add a touch of classic elegance to your home as well as extra living space which you can customise with a choice of decorative finishes. 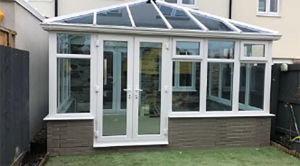 The Lean-To conservatory complements all styles of architecture and can be customised with your choice of doors, windows and decorative finishes. A popular choice with customers wanting a simple design. Clean lines that complement every property style make it the perfect choice for a modern garden room with style flexibility. Select from uPVC or natural timber for durability – available in a wide range of colours and effects. Also known as Gable Front or Pavilion style. Recreates the opulent orangeries of the past. A variant of Georgian style conservatories perfect for period homes. Gable-end conservatories have a square floor plan, with a vertical front roof like the end of a house, which is where the name comes from. They are often referred to as the sunburst effect because of its resembling to a sunrise. 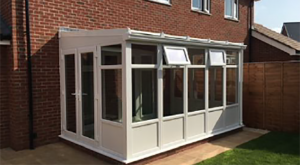 We will fit a beautifully designed conservatory whatever your motivation, budget or decorative style. For conservatory fitting across the south…. Claremont Fitters have been in the window, door and conservatory business for some time – all of our installers are fully-accredited.